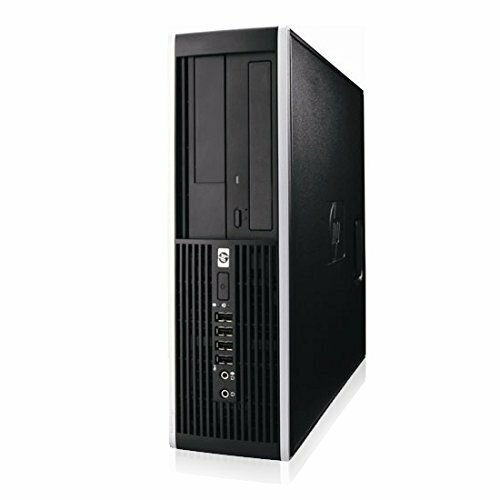 The HP Compaq 6000 Pro Small Form Factor Desktop PC can seamlessly integrate into your Home or Business setup. Business PC Energy efficient technologies, leading remote manageability solutions, and three flexible form factors designed to fit your specific business needs -- the HP 6000 Pro Desktop PC is the stable platform that lowers the cost of ownership. *NEW* 1TB Hard Drive with 2 Year Manufacturer Warranty! Model: HP 6000 Pro SFF Desktop, (10) USB 2.0 (4 Front, 6 Back), (1) RJ-45, (1) VGA, (1) Display Port, (1) Standard Serial Port, (2) PS/2 (Mouse/Keyboard), (1) Audio In, (1) Audio Out, 240w Power Supply. What's in The Box? Refurbished HP 6000 Pro PC with Power Cable, New ReCircuit® USB Keyboard, Mouse & Mousepad!